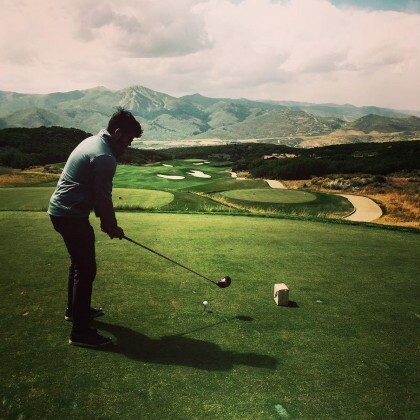 While at Kamas, UT, USA’s Victory Ranch golf course in November 2018, Katherine Heigl shared, “We are here at Victory Ranch, our favorite club, celebrating Naleigh’s 10th birthday! Let’s peek in and see what they’re doing” — jewelry making, manicures, pedicures, foot rubs, make-up application, prom hair styling, and arts and crafts were all part of the fun celebration. 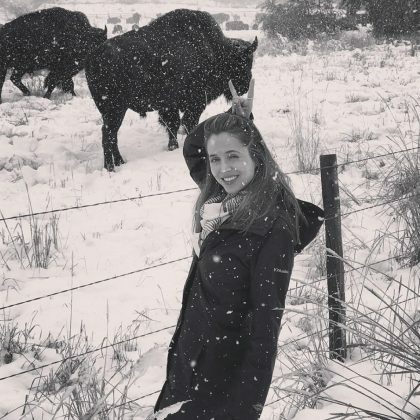 Eliza Dushku put two fingers to her head to mimic the buffalo she saw in September 2017 at Buffalo Run Ranch.